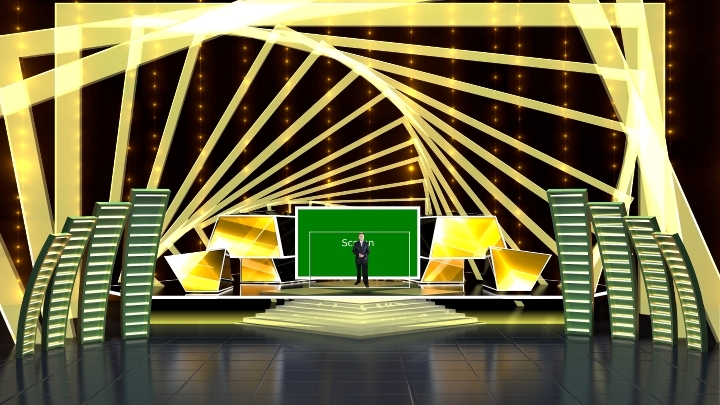 Geometric lines and colorful design. 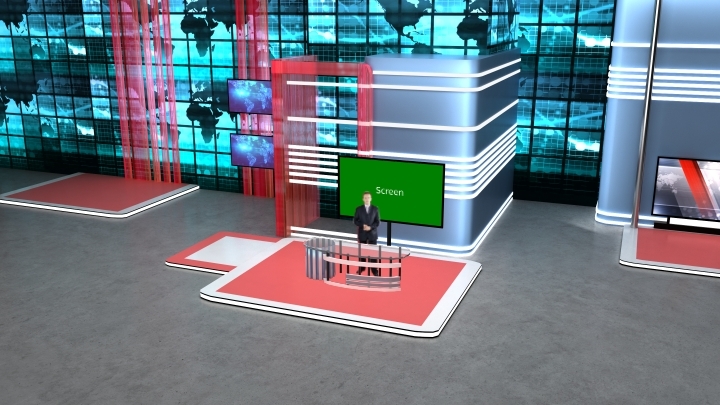 Main color is blue and red. 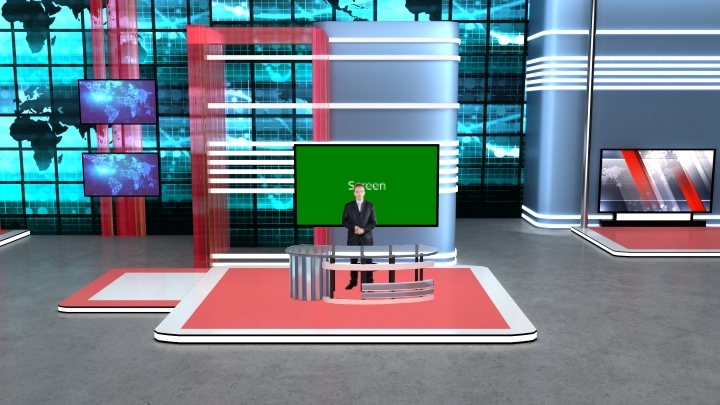 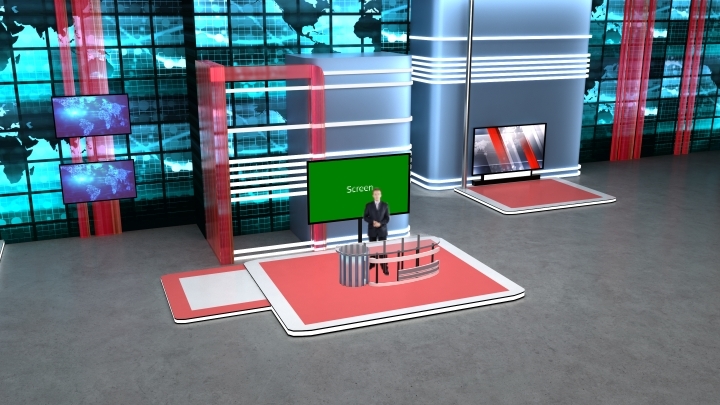 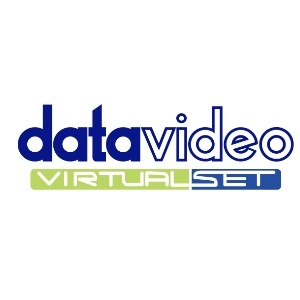 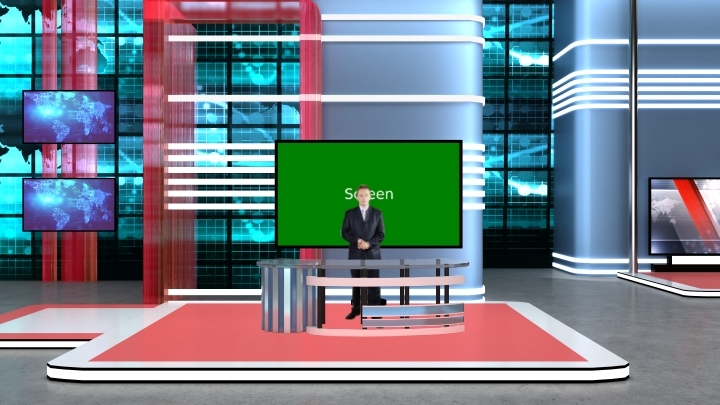 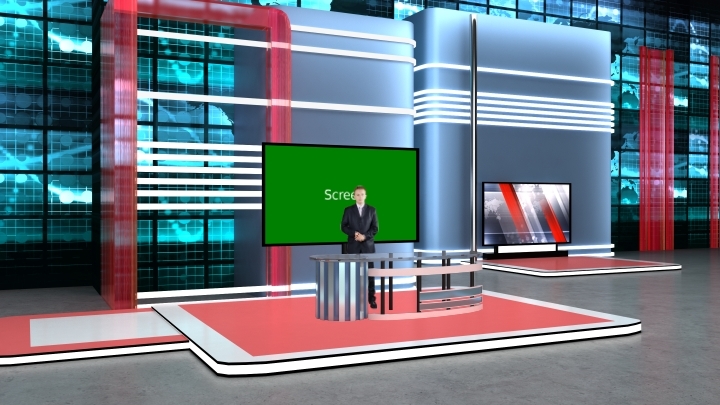 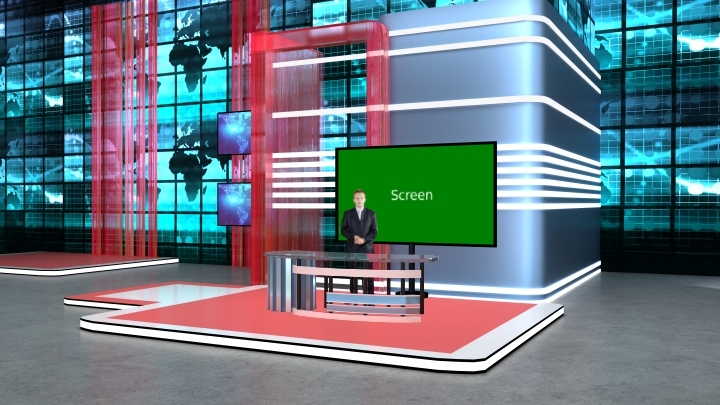 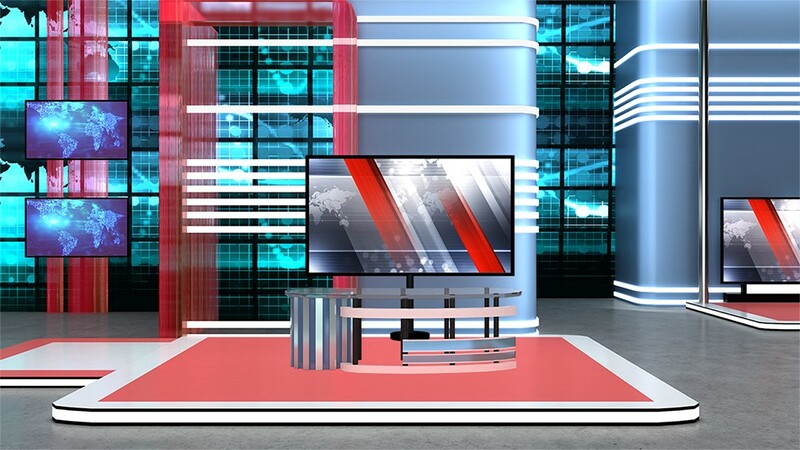 The virtual set studio can be used for sport news, entertaining news or other type of programs.